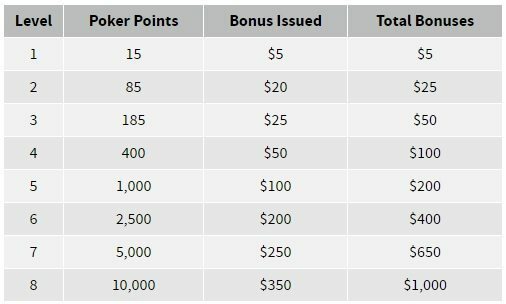 What Ignition Poker welcome bonuses are available to me? How do I select the Ignition Poker bonus? How do I earn the Ignition Poker bonus? Ignition Poker, which is the new home for those who were playing at Bovada.lv, is based in Canada and caters to U.S. players as well as players from around the world. Let’s take a look at the welcome bonuses and other promotions Ignition offers to help you fatten your bankroll and win even more. All new customers are eligible for a 100% initial deposit bonus for up to $1,000. Click here to visit Ignition Poker. If you’re new to Ignition Poker, then you’re in luck because you get to take advantage of a bonus on your first deposit worth as much as $1,000. You may also receive up to a $100 from the tell-a-friend promotion. Ignition Poker Bonus Code 100% up to $1,000. Select Ignition Casino Welcome Bonus. Tell a friend Bonus 200% of friend's deposit up to $100. Ignition Casino Bonus Code 100% up to $1,000. Select Ignition Casino Welcome Bonus. Simply register a valid account and make at least the minimum deposit of $20. When making a deposit in the cashier, you will have to choose between Bitcoin and Credit Card as your deposit method. The poker bonus is a 100% match of your deposit, up to the maximum amount of $1,000. That means that if you deposit the minimum $20, you’ll be assigned a $20 bonus, and you’ll need to deposit $1,000 in order to claim the max bonus. Note that new members receive both a poker bonus and a casino bonus. These bonuses don’t interfere with each other, and your deposited cash is shared across all available Ignition services. The casino bonus is deposited into your casino bonus account automatically. The poker bonus is a bit different in that it’s doled out to you by the house as you earn Poker Points. More on that in the next section! Note that your welcome bonus is based on ALL deposits made in the first 24 hours. That means that if you deposit $100 and several hours later choose to deposit another $50, you’ll have access to a $150 bonus. As mentioned, poker bonuses aren’t awarded right away but doled out as you earn Poker Points. We’ll discuss Poker Points, which is a loyalty currency, more in that section. Just know that you earn PP during ring games and when buying tournament tickets with cash, and claiming your bonus money doesn’t actually use up PP, so they’re still available to convert into bonus cash and tournament tickets. Your bonus will be awarded to you in up to eight allotments. The first level occurs when you reach 15 PP, and Ignition will give you $5. The eighth level occurs when you reach 10,000 PP earned, and Ignition will give you $350. At the six levels in between, you’ll get $20, $25, $50, $100, $200 and $250. If you deposited $20 for a $20 bonus, you’d get $5 at level one and $15 at level two. There’s no rollover or playthrough requirements on this money. Do with it as you please, including withdrawing it. Note also that there’s currently no deadline by which you need to claim all of the bonus money you have available. Ignition offers a really cool opportunity where you can get 10 percent back on any deposit made with a credit card or with the rapid transfer method. 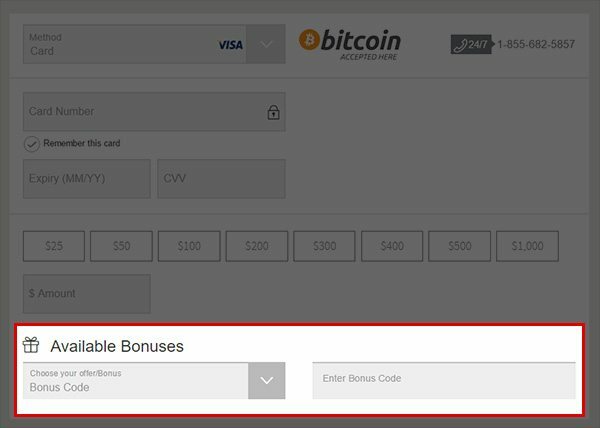 The bonus amount can be as high as $1,000. This bonus is active for your first deposit as well as all deposits made in that first 24 hours and any other deposit you make as an Ignition member. Note that this bonus isn’t a poker bonus but rather a casino bonus. Nevertheless, it’s free money. If you’re depositing $500 into your poker account anyway, you’ll get an extra $50 for slots or whatever. Note that there is a rollover requirement of 50 times the bonus. 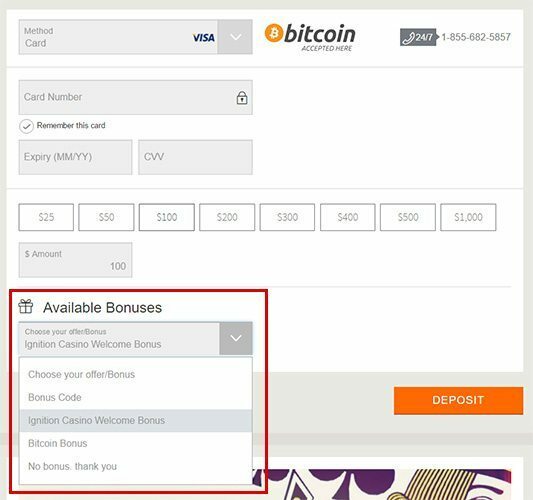 Similar to the bonus describe above, Ignition also offers a 25-percent deposit, and this one requires you to make your deposit via Bitcoin, which is an increasingly popular option for online gamblers. That means that depositing $4,000 will earn you a $1,000 bonus, which is remarkable for high rollers, and you can take advantage of this on an ongoing basis. Note that as with the other deposit bonus, there’s a 50x rollover requirement, and wagering contribution restrictions do apply. Bad beats are part of the game, but Ignition does its part to lessen the sting with a bad beat bonus that can be worth as much as $1,000. If you have aces full of kings and get beat by a four of a kind or better hand, Ignition will award you a bonus worth 100 times the big blind up to $1,000. There are certain conditions that must be met, and these include: Texas Hold’em cash games only; at least three players dealt in; the winning and losing hand going to showdown; and both pocket cards used by both hands. The rich get richer at Ignition. Anytime you land a pot-winning royal flush, Ignition will give you a bonus of 50 times the big blind up to $200. You receive this bonus on top of the standard winnings from that hand. The conditions for this bonus are the same as for the Bad Beat Bonus. Ignition introduced 2017 with a bang by announcing the $2,017 Monthly Freeroll Poker series. On the first Tuesday of every month this year, you’re invited to take part in a freeroll with a guaranteed pot. Simply register from the Special tab in your account. The password for each freeroll is Free17. All members at Ignition are automatically enrolled in the loyalty program. Each time you contribute to a raked pot in a cash game or pay a tournament buy-in with cash, you’ll earn Poker Points or PP. There’s no limit to how many PP you can earn, and you can cash in up to 5 million points each month. You can convert your points into tournament tickets at any time at the rate of $1 per 200 Poker Points. Get up to $1,000 cash back at Ignition Poker! Read our review of Ignition Casino here. Get the free Ignition Poker download here.